Hello. I'm here today to share some projects using a few collections from Lemoncraft. 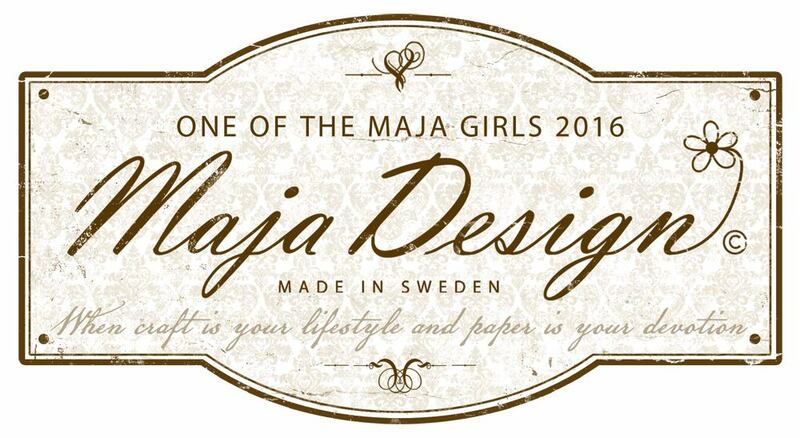 The first project is a wedding card using the delicate and graceful Lemoncraft collection called 'House of Roses'. 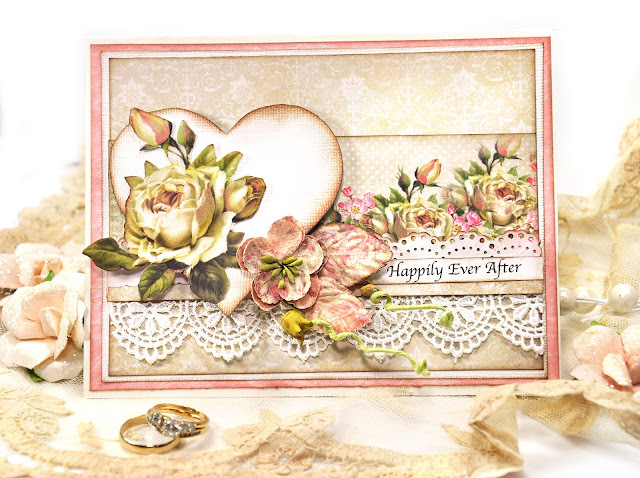 The second project is an 8x8 layout using the 'Christmas Greetings' and 'House of Roses' collections. First up is the card. 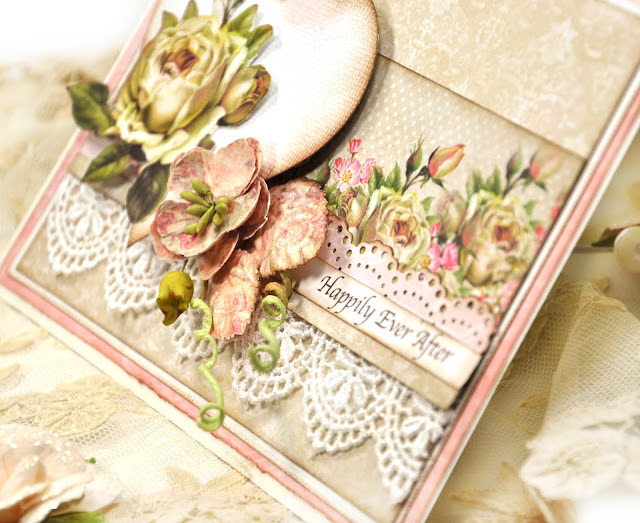 So let me show you the wedding card I created first. I really love the Lemoncraft 'House or Roses ' collection. 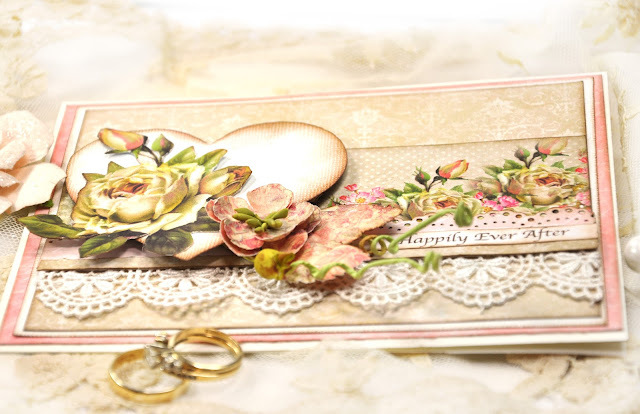 It is perfect for romantic wedding cards. The beautiful rose on the heart is from the Lemoncraft 'House of Roses Labels 2 - Vintage labels'. 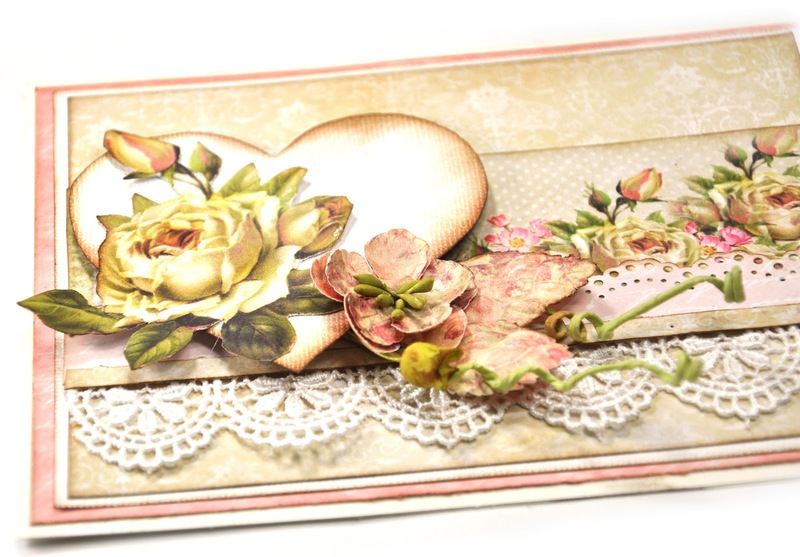 I will share my simple DIY instructions so you can see the steps taken to make this card. Step 1. 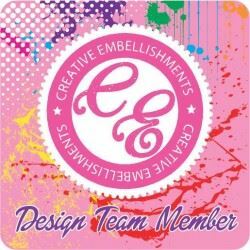 I am creating a card that is sized 5in x 6.5 in. You can fold your own card base or use a pre-folded card. I used a pre-folded ivory card base. To build the base of my card, I selected 2 sheets of patterned paper for layers from Lemoncraft House of Roses - Time Flies 6x6 paper pad and one sheet of ivory cardstock. 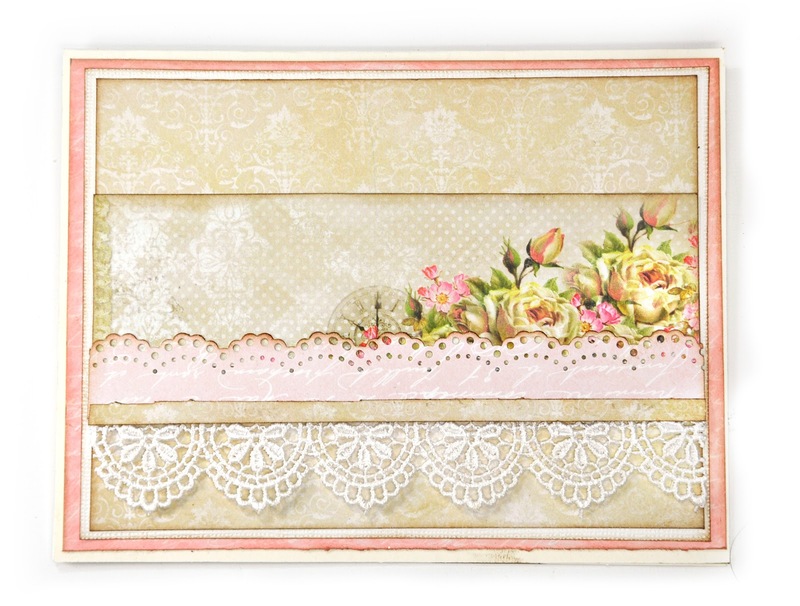 I also punched a decorative border from sheet of the 6x6 Lemoncraft pad. I lightly ink all edges for definition and glue the paper layers to the cardstock as desired. I set the punched border aside for use in step 2. Top layer 1 - I selected a piece from the 6x6 paper pad with delicate florals. 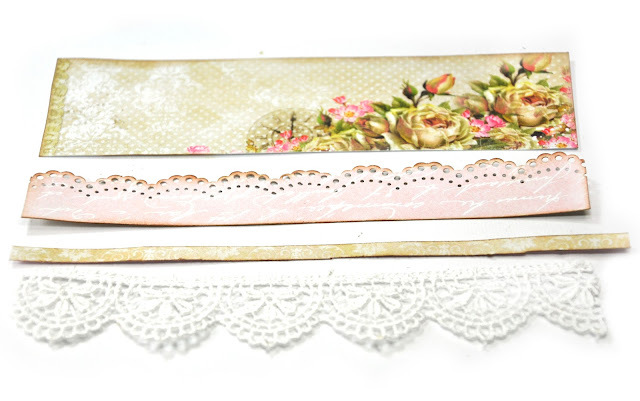 I cut a strip about two inches wide - or wide enough to include the beautiful floral images. Step 3. Attach all decorative layers onto card. Step 4. Assemble the embellishments. Cut out a vintage image from the Lemoncraft Vintage Labels sheet. Cut or punch a heart shape about 3 inches wide. Select the flowers. Ink the edges of everything for consistency - even the flowers. Step 5. Add the embellishments to the card. I added a piece of cardboard to the back of the heart for added dimension. Step 6. 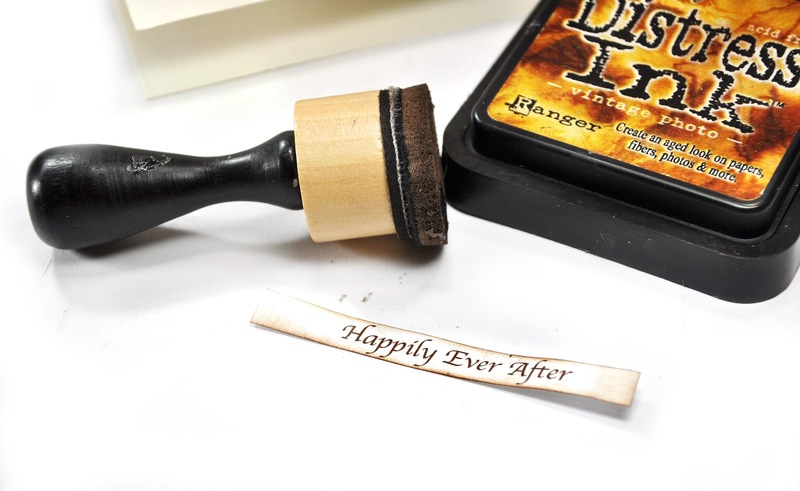 Print a card sentiment from computer. 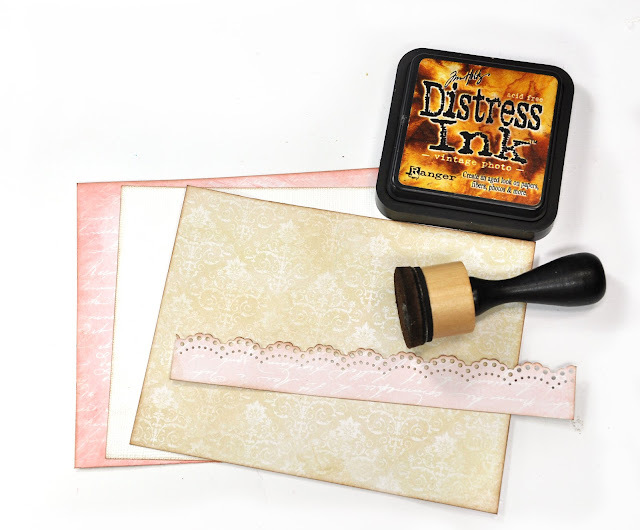 Ink the edges and glue to card. And here is another photo of the completed card. My second project is an 8x8 layout for my friend's young son. I wanted to make the page have a little bit of a masculine feel without it being too manly. 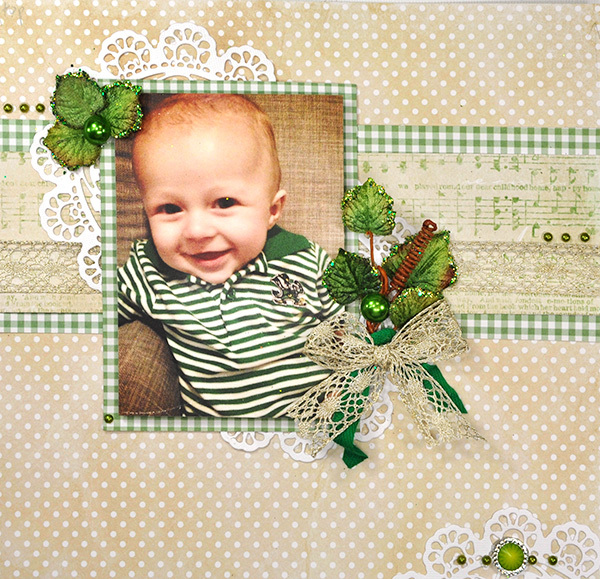 I used the greens and neutral colors from the 'Christmas Greetings' Basic paper pad for the border. 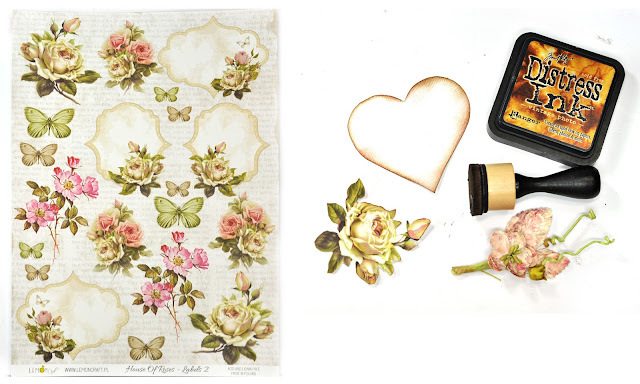 The background is paper from 'House of Roses' Basic paper pad. 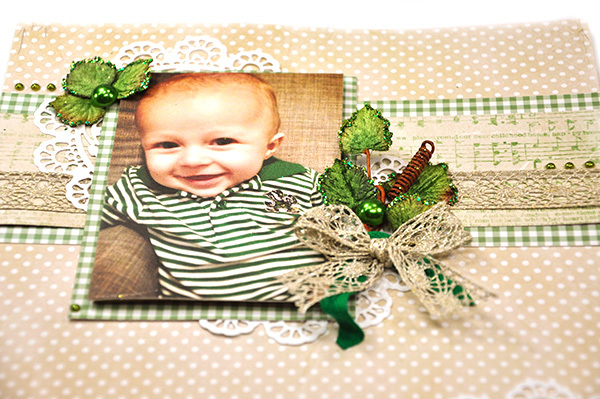 I also used some green ribbon from the 'Christmas Greetings' ribbon and lace set. The family is Irish so the green ribbon was perfect. I hope you are also having fun with all the beautiful LemonCraft collections. can we buy all the stuff as a lit for the beautifl wedding card you made Jen. 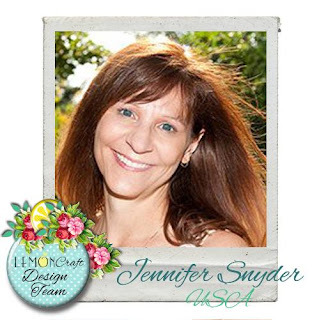 Love everything that you make, Jen!